Buy my book ‘Rekindle The Magic’ online today. Simply select the PayPal Buy Now button for your part of the world. Swift and secure, payment is in sterling for our UK customers, Euros for Europe and US$ Worldwide. All popular credit cards accepted. Online payments are quick and easy with PayPal. PayPal is a popular and safe method of online purchase. If you have any queries, or prefer to buy by cheque or money order, then please email enquiries@anitajackson.co.uk and we will be pleased to help. Thank you for buying my book. For UK customers, we will dispatch by first-class post. For European and rest of world customers, your book will be dispatched using the Royal Mail printed papers service. You should receive it in five to eight days. 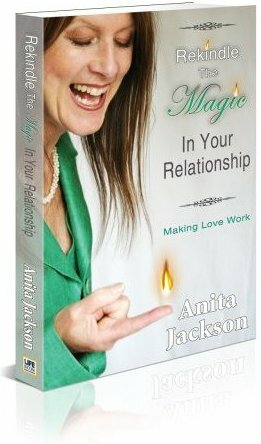 If you have any enquiries about your order, please e-mail us at enquiries@anitajackson.co.uk. May I wish you the very best for your journey to growing your relationships.